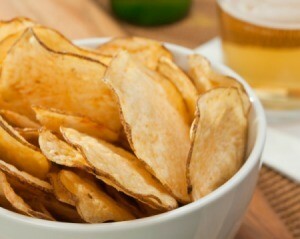 One healthier way to make potato crisps or chips is to use your microwave. This is a guide about making crisps or potato chips in the microwave. Does anyone in England know where I can buy a microwave crisp maker? I've tried ebay (ten pounds! I don't think so! ), tried Lakeland and Kleeneeze. I am on the Slimming World diet so I'd really like one. Many thanks. You don't need a crisp maker. Go to recipezaar.com and put "Uncle Bill's Microwave Potato Chip Recipe # 47195" into the search area at the top of the page and directions will come up for making delicious fat-free chips. Hope this will be a help. If you don't want to spend the money for a microwave crisp maker, how about just making them in the oven on baking sheets ?? ?